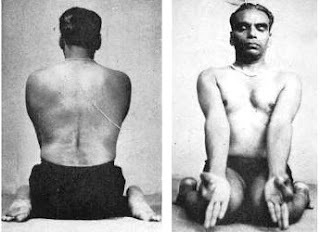 Stand a 6-8 inches away from the wall come into Urdhva Hastasana and then to Uttanasana with hands shoulder width wide with the palms turn out away from one another. Step the left leg back and kick one leg up followed by the other placing the legs against the wall. Keep the arms straight and firm. 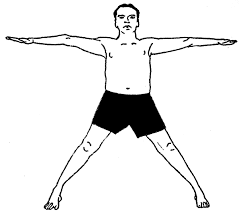 Press into your hands and extend the whole body upwards towards the ceiling. Keep the legs fully stretched toes pointing up lifting the head up as far as you can.